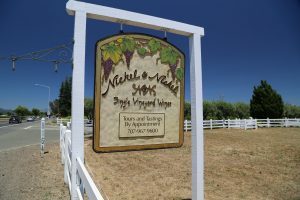 Nickel & Nickel is a premium winery founded by Gil and Beth Nickel with their first vintage in 1997. 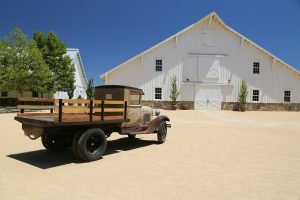 The Nickels also founded Far Niente Winery in 1979. Gil was born and raised in Oklahoma – he worked for his family business, Greenleaf Nursery and eventually became President of the company for 8 years before he moved to the Napa Valley in 1976. 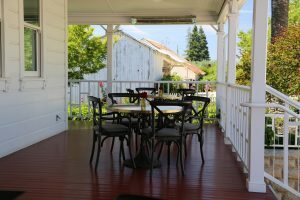 He took winemaking classes at UC Davis while in his late 30s and made home wine – at one point entering a competition in Sonoma County and earning a gold medal for his Chardonnay. 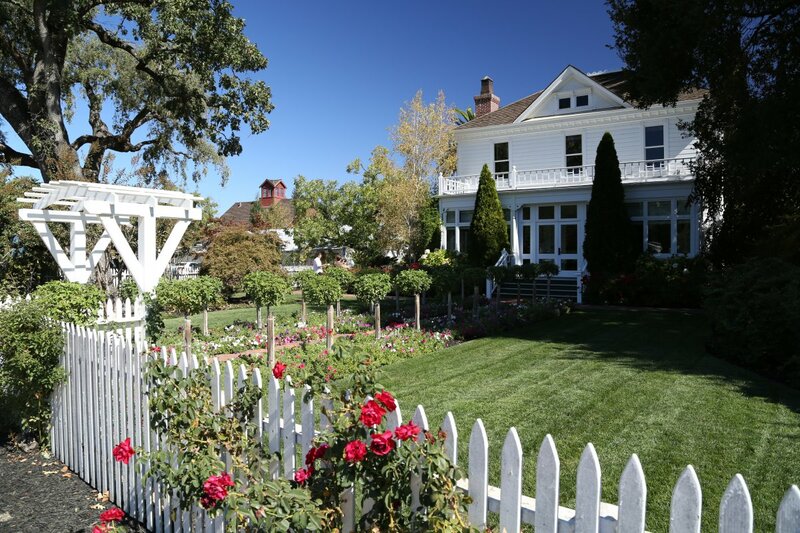 Incidentally, Greenleaf (founded in 1945 by Gil’s father Harold) has become the nation’s second largest, family owned wholesale nursery. Gil was passionate about vintage cars – and spent nearly 20 years racing vintage automobiles in select competitions around the world. In 1995 he became the first American to win the FIA Historic Sports Car Championship. He passed on far to young (at age 64) in 2003 from complications from melanoma. Nickel & Nickel is located in Oakville on site of an 1880s farm established by John C. Sullenger; he purchased the land in 1865. The Nickels acquired the property in 1998. 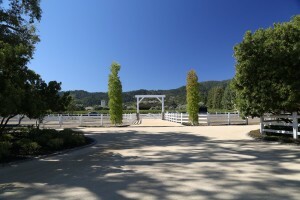 Today the property is 42 acres and is home to the John C Sullenger Vineyard. 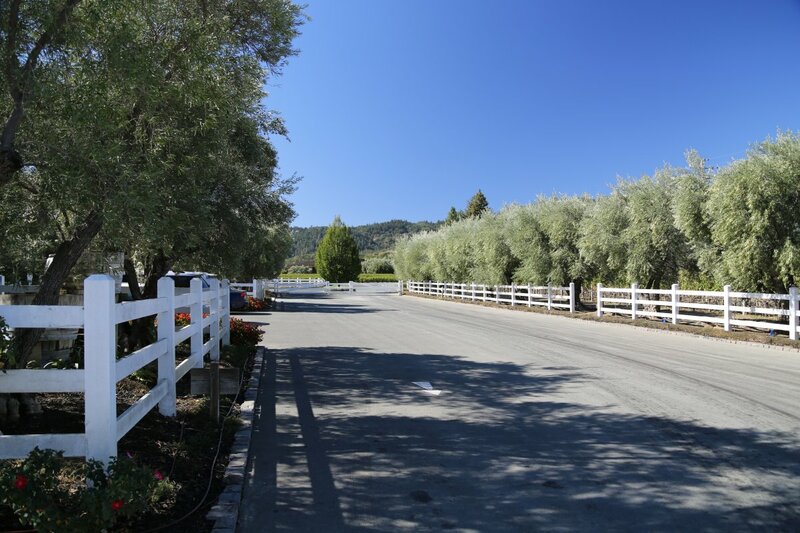 The vineyard and winery are located directly next to Highway 29 almost across from the iconic Robert Mondavi Winery and just north of Opus One. 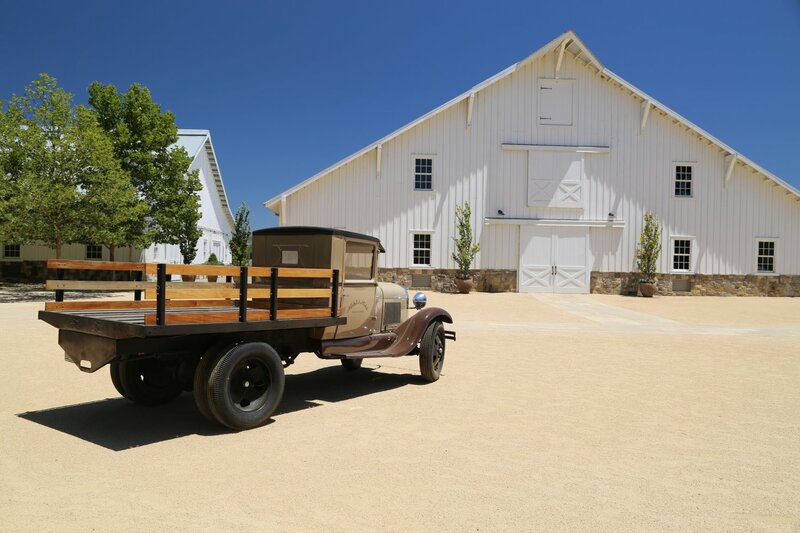 One can usually spot the antique Nickel & Nickel truck parked in front of their property. In a throwback of sorts to a slower pace of life along this now often highly congested highway – look for the horses sometimes stabled in front of the property. Their white wooden gate is always locked, simply buzz in your arrival using the keypad next to the driveway to announce your visit to the receptionist – who will then open the electronic gate for you. 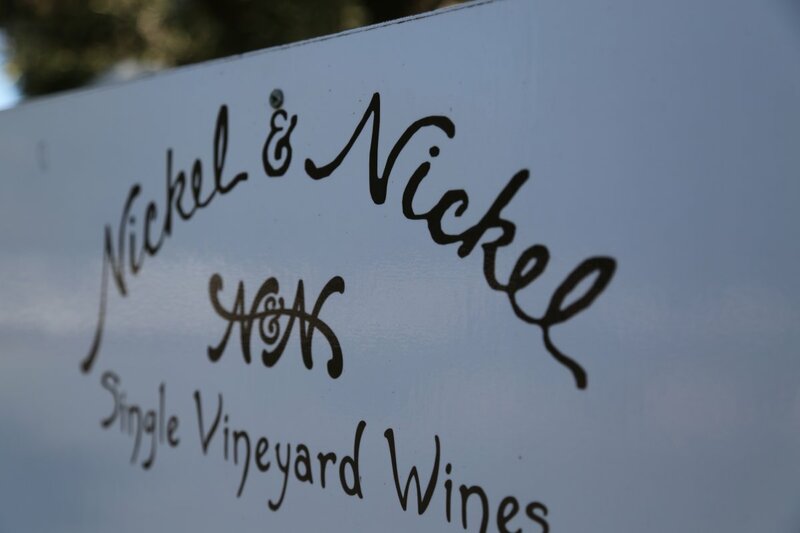 Nickel & Nickel’s claim to fame is single vineyard single varietal wines and the “b” (blend) word, with one notable exception, is not a part of the Nickel & Nickel lexicon. 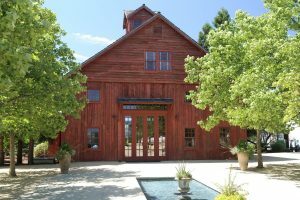 During one of our earlier visits to the winery – we tasted one wine which was supposedly a winery “mistake” in which their winemaker accidentally produced a blended wine of Syrah and Cabernet Sauvignon. Appropriately they called this wine Lightning Strike (vintage 2004). 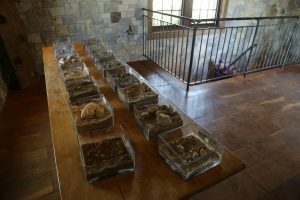 This was very under the radar at the time – and bottles were only available at the winery. 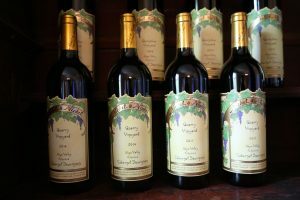 In the years following, this Nickel & Nickel blended wine has becomes somewhat of a collectors item (you may still be able to find bottles from various online wine brokerage sites) . 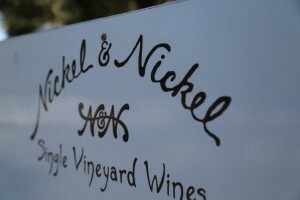 Nickel & Nickel owns vineyards and also sources grapes from selected vineyard partners – with most of their vineyards located in Oakville and Rutherford (but also a handful of vineyards from other parts of the valley). 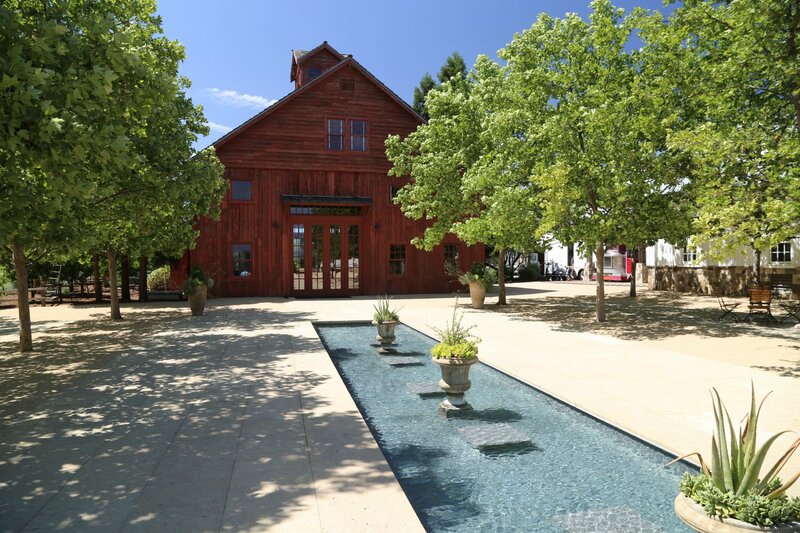 The winery sees visitors by appointments and the “10 second Napa Valley appointment” does not apply here as you must reserve ahead of time – often well in advance of your planned visit, especially during busy weekends and the summer months (recommended: a month or more in advance). 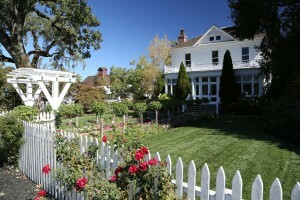 The picturesque white building, the Sullenger House dates from 1884 and serves as their hospitality center. 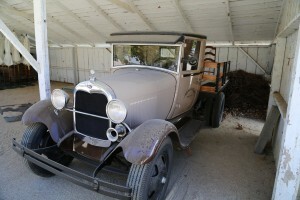 It was impeccably restored by the Nickels in 2002. 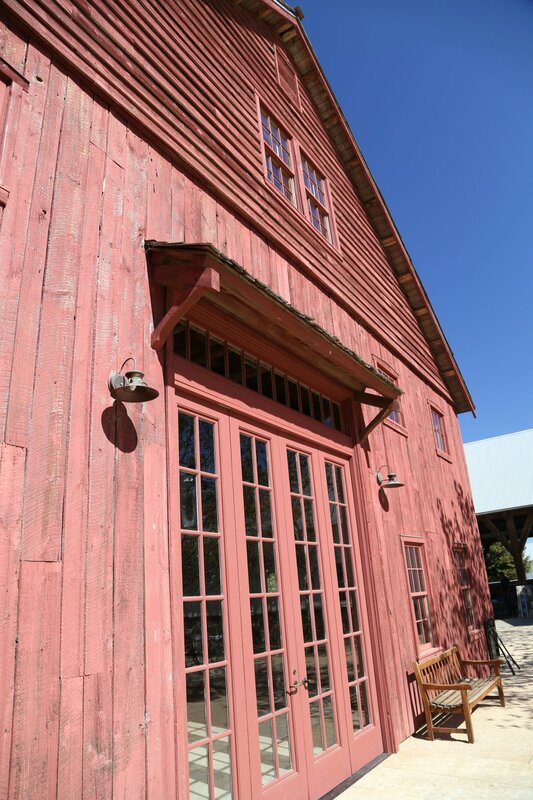 When the Nickels restored this home they raised it and then rolled it slightly to the south – built a small cellar below ground and then rolled the home back onto its original footprint. 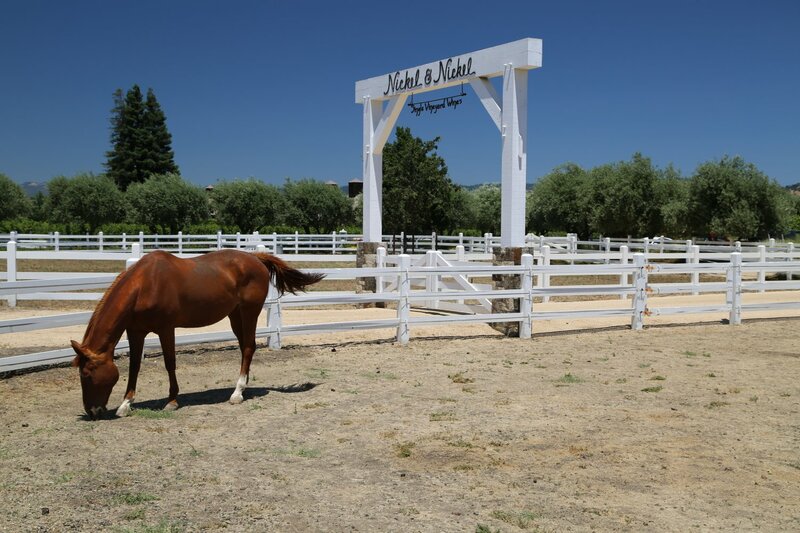 This is one of the classiest properties in the Napa Valley and attention to detail is everywhere. 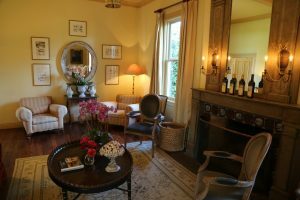 After visitors park, one enters the historic Sullenger House and will be greeted by a concierge. 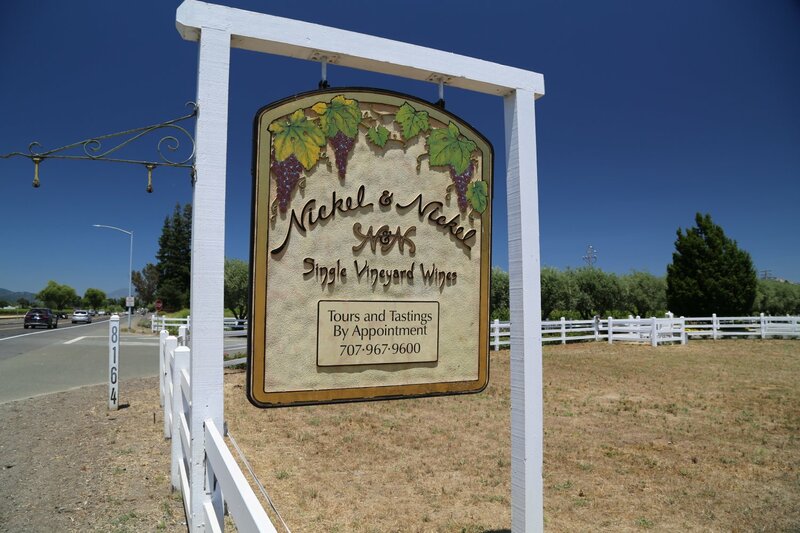 Before tours begin, Nickel and Nickel always offers visitors a welcome wine – typically a white wine from their sister property, EnRoute from vineyards located in neighboring Sonoma County. 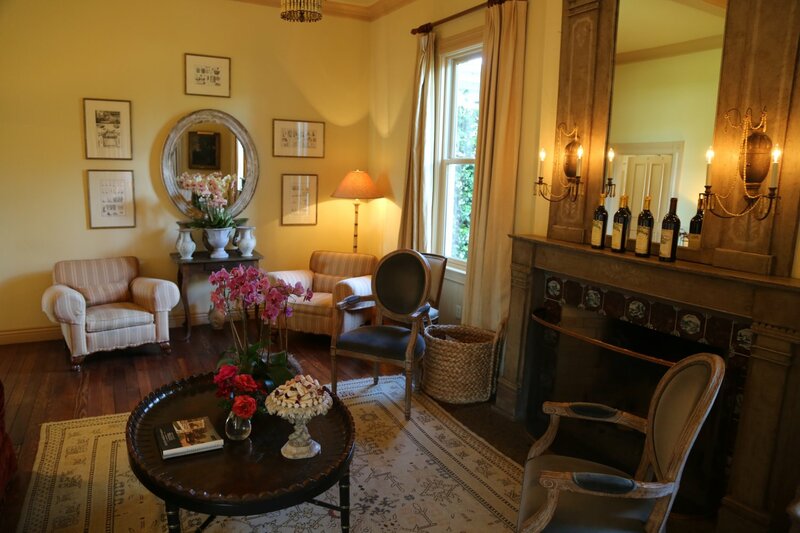 If not too crowded, guests will enjoy time in the elegant reception salon before the tour begins. After a brief history lesson of the property and of the Nickels background, tours will proceed into the tank room for a quick lesson in winemaking. 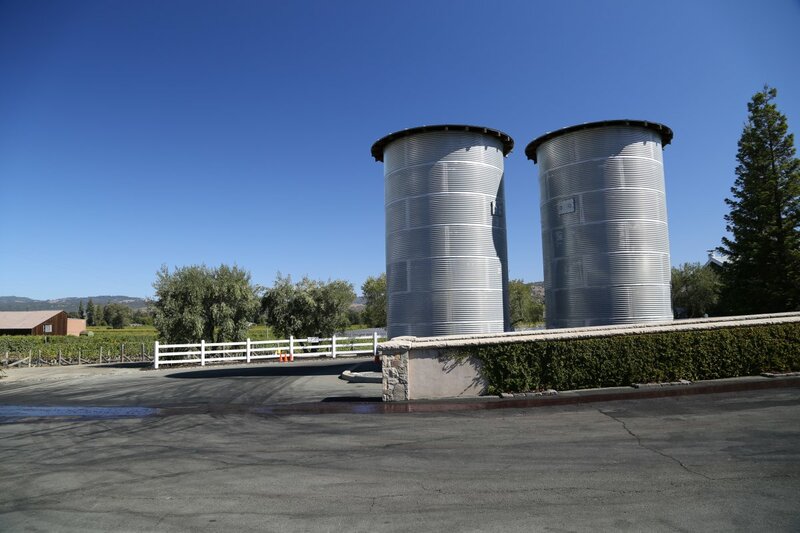 The winery was certainly built with quality in mind – they use the latest state of the art technology in their wine making. Their wine maker can remotely control various aspects of the fermentation tanks directly from her laptop including temperature. A soil’s room provides an intriguing look into the diversity of types of soils from vineyards that Nickel & Nickel own or purchase fruit from. 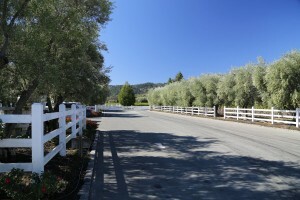 The visual differences are dramatic despite the relatively close proximity of the vineyards to each other. 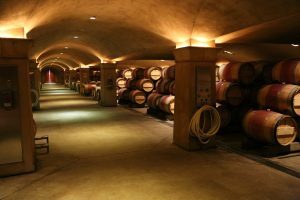 The 30,000 square foot cellar is probably the largest underground cellar on the valley floor of any Napa winery. 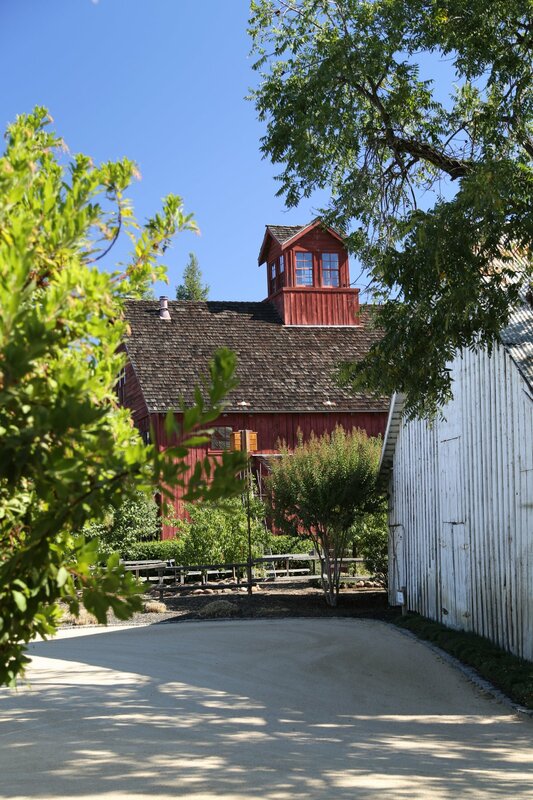 The footprint of the cellar is underneath both of their wine making production buildings – what employees refer to as the ‘barns’. 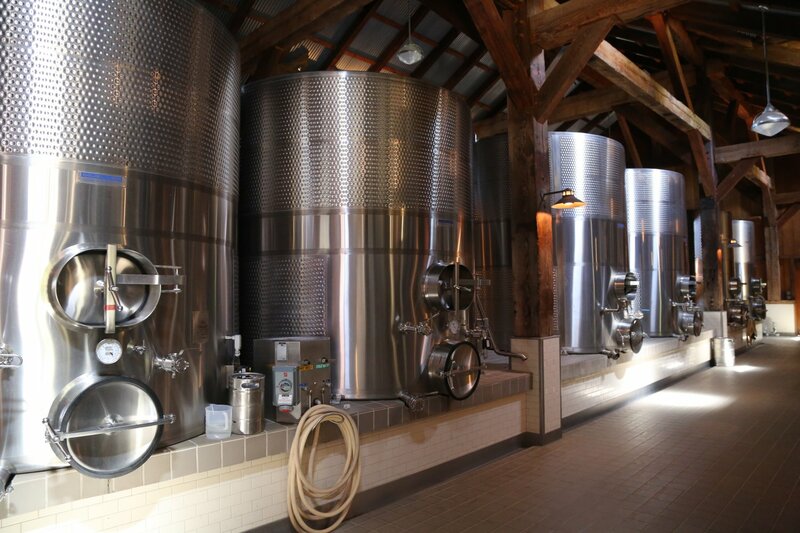 Holes in the roof of the cellar can be used to gravity flow wine from tanks on the top floor. Tours will also make a brief stop in the historic Gleason Barn. 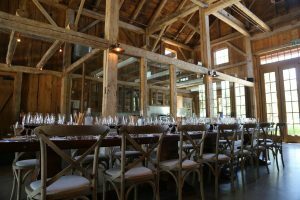 The Nickels worked with a company that restores old barns and through this company they located a historical hay barn in New Hampshire. 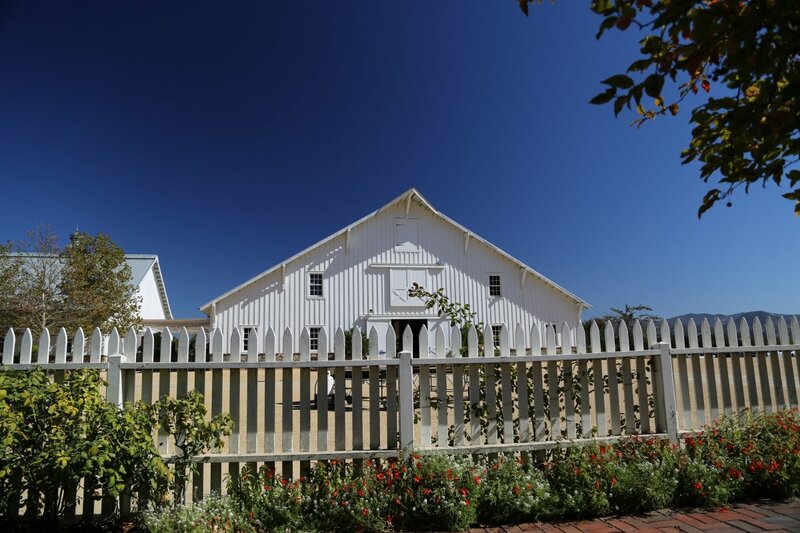 Dating from 1770, it was dismantled, each piece was numbered and it was stacked on a flatbed truck and shipped in pieces across the country where it was re-assembled on site in 2003. 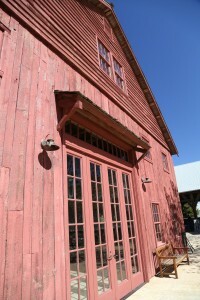 Not a single metal nail was used in the inner construction as the beams are all held together by wood. 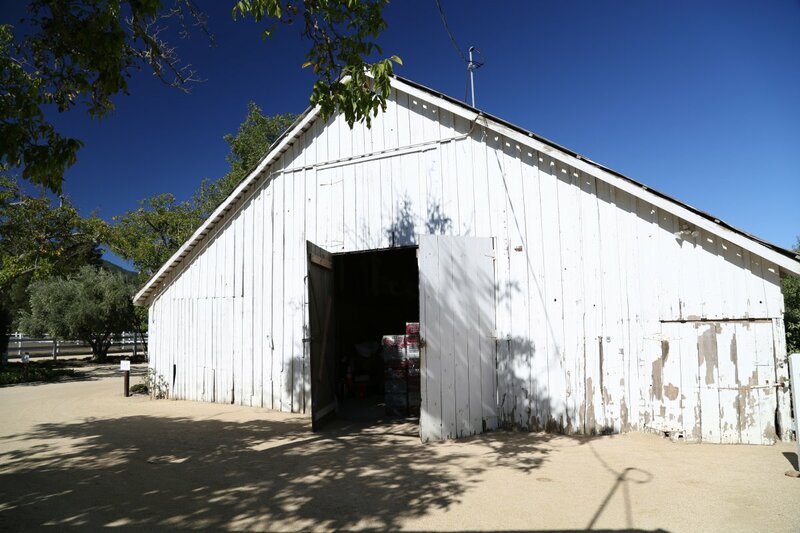 This is now probably the “oldest” building in Napa County. The building is used to host larger groups and also houses several of their offices and the winery lab. 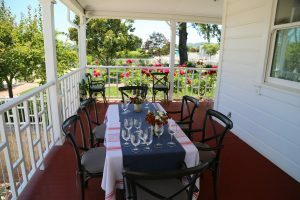 The tour culminates with a tasting of select vineyard designate Cabernet Sauvignons, usually held in a small classically styled room in the Sullenger House (a seated tasting). 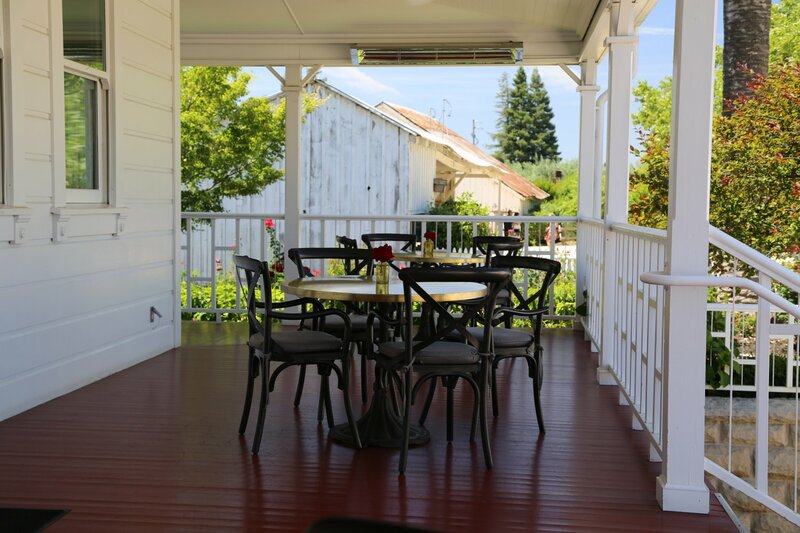 Typically you will be served the same vintage Cabernet Sauvignon but each of the wines are sourced from different vineyards. 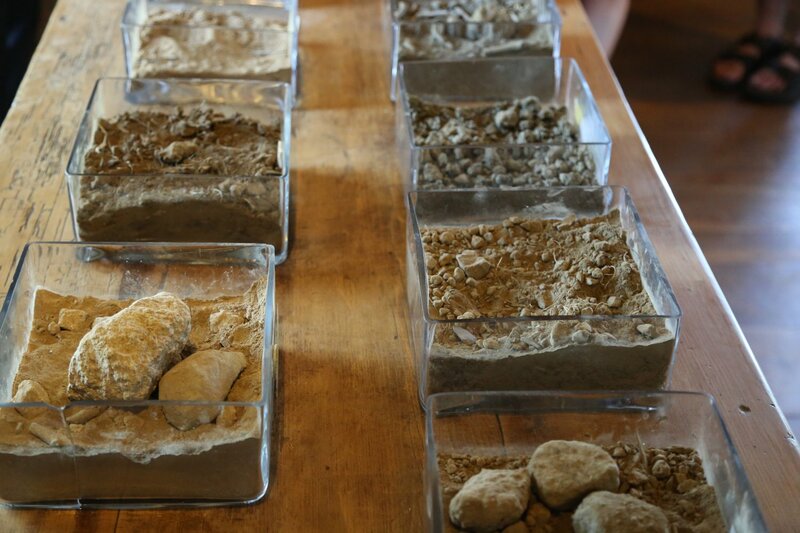 As a result, one can often taste the terroir differences between the various wines. 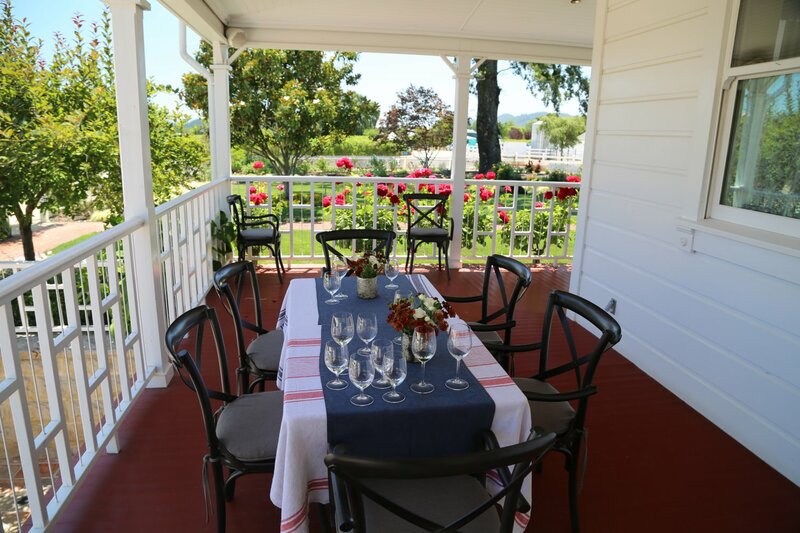 At the end of the tasting, you will have the opportunity to purchase any of the wines you tasted as well as select wines from Nickel & Nickel’s sister properties or even purchase future vintages of the Nickel & Nickel Cabernet Sauvignons. 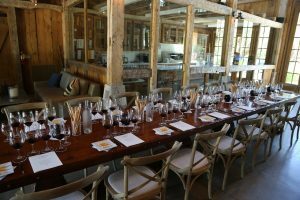 And similar to other premium Napa wineries that offer personalized group tours (ie Far Niente, Inglenook, Newton, Spottswood, Stags’ Leap Winery, just to name a few) a tasting is often an excellent opportunity to meet wine lovers from around the country. And more frequently then not (based on several tastings we have participated in over the years) guests sometimes meet others from their same state. 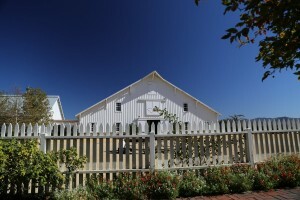 A number of wines are only available at the winery or tasting room. We tasted several of these highly coveted wines during a recent visit. 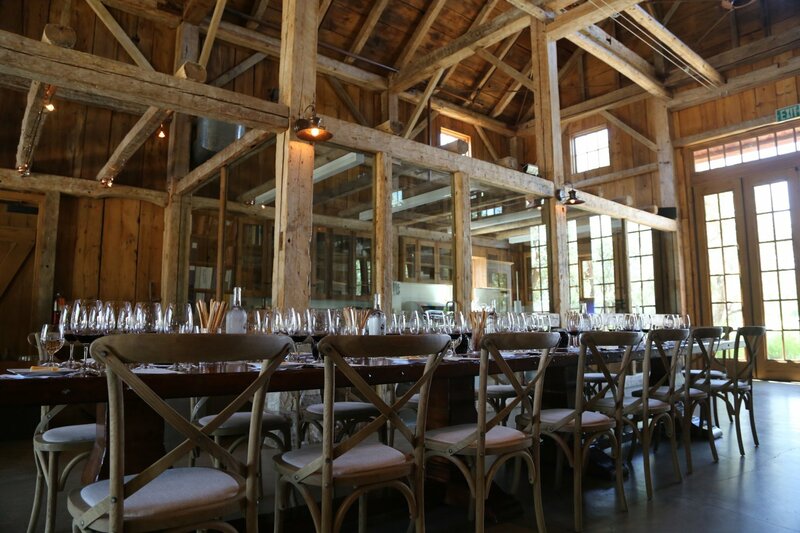 The 2015 Sori Bricco Vineyard Diamond Mountain is noticeably dark in the glass with a bouquet that is brooding and savory at the same time. It has a powerful bouquet that is highly aromatic with notes of dark chocolate, plum, blackberry and nuances of baking spices and cedar. Offers a pleasing depth of flavor on the palate; it is juicy and mouthwatering on the finish with excellent acidity. The tannins are rounded yet show good grip – somewhat dry, they persist for quite some time. The 2015 Element 28 shows sweet baking spices on the bouquet along with a sweetness of fruit (blueberry and boysenberry). Also hints of cloves, cinnamon and mocha as the wine opens. 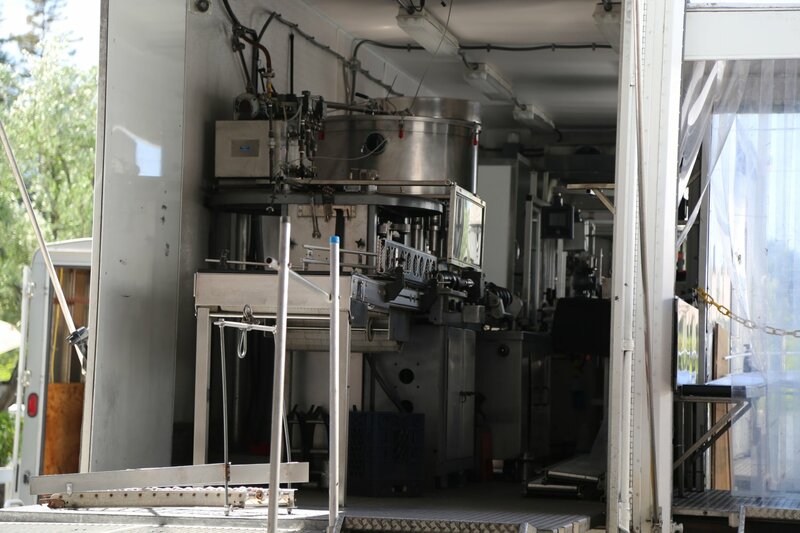 Plenty of flavor and plenty of acidity – balanced on the palate showing slightly astringent tannins on the finish – more fine grained then being robust. Long finish. Those who can remember back to their high school chemistry class will recall that element number 28 on the periodic table is nickel. 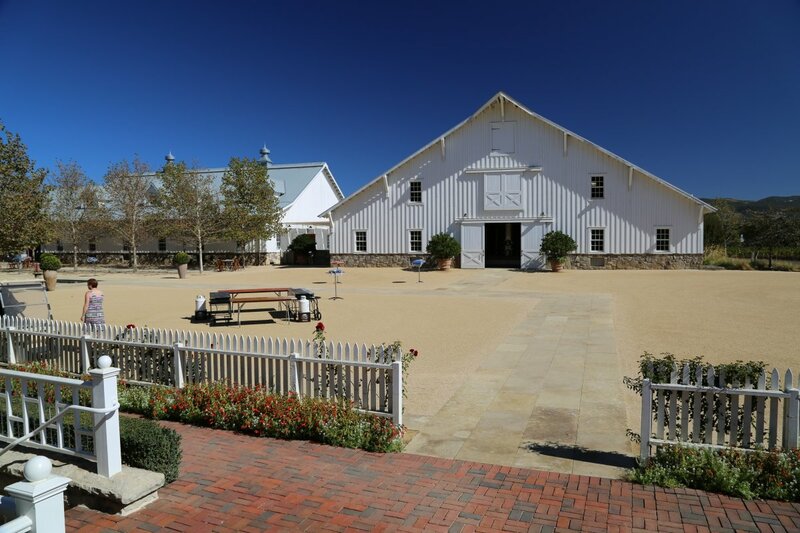 One of the Nickel’s nephews owns this vineyard and suggested that Nickel & Nickel creatively name this particular wine after their family surname. The 2015 Beatty Ranch, Howell Mountain shows generous aromatics including a bouquet of blackberry, black licorice, a dust nuance, boysenberry and cedar plank. Offers lively acidity, mouthwatering at times. 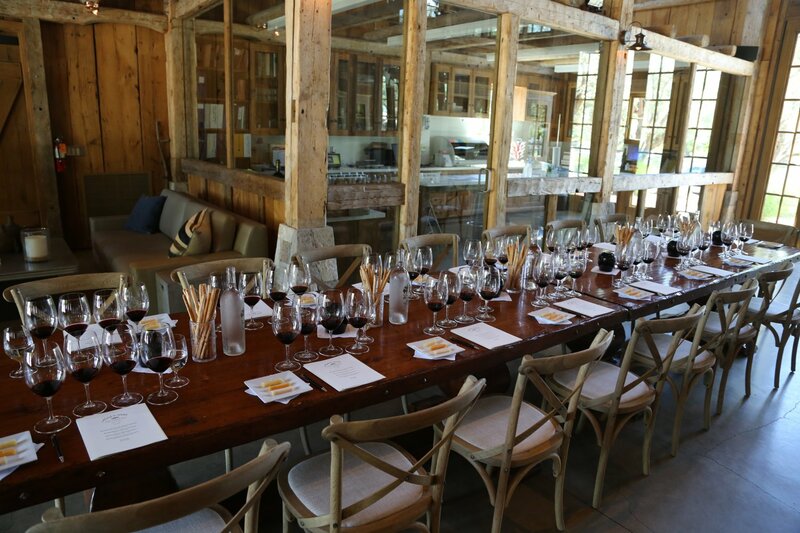 All components of this wine are well integrated. Mountain, somewhat dry yet plush tannins anchor a long finish. Has all the characteristics of being quite age-worthy. 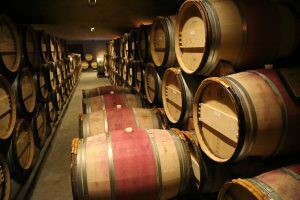 As a general statement, for those who want to age their wines – we were told their winemaker recommends a sweet spot of 7 to 10 years – although the wines certainly can age longer then this.